There are so many famous things to do in Cabo, from visiting the iconic arch to golfing on our world-renowned golf courses. 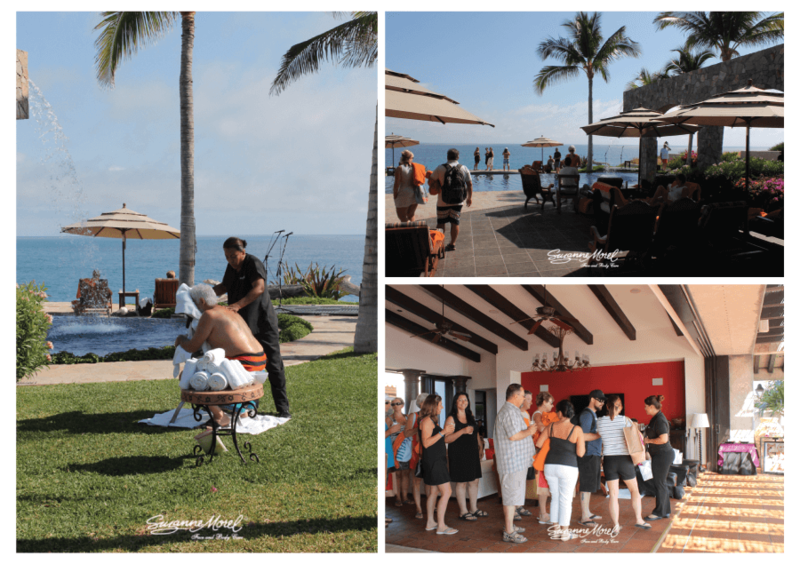 As year-round residents, we have to tell you, there is one activity in Cabo you must not miss—a relaxing spa party by Suzanne Morel Face and Body Care! Enjoy an hour-long massage on your patio overlooking the ocean, or indulge in poolside mani/pedis under the shade of your umbrella. No matter which of our spa services you select, our professional team of spa therapists knows just how to help you relax in beautiful Los Cabos! Why should you book a spa party during your vacation? A spa party is the perfect way to spend your first day in town, getting out all the stress of your day-to-day responsibilities and pampering yourself at the start of your vacation! Our spa party is also an excellent way to finish up any vacation in Cabo—relax in your villa or resort while we do all the work! Our mobile spa team brings everything you need for a luxury boutique spa experience, including massage tables, chairs, candles, flowers, music and essential oils. We offer a full menu of spa services, including sports massages, facials and skin treatments especially made to relieve sunburns! Remember, we come to you at your villa or resort, so there is no need to walk anywhere or take an expensive cab ride. 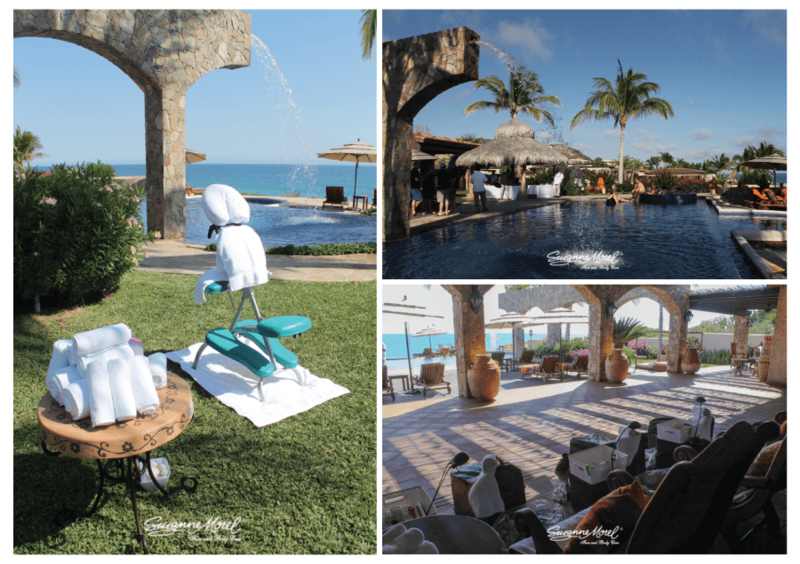 A spa party by Suzanne Morel Face and Body Care is the ultimate special treat on your visit to Los Cabos! This entry was posted in Spa Services and tagged bachelor party in Cabo, bachelorette party in Cabo, best spa in Cabo, best vacation activity in Cabo, Cabo vacation activities, facial in Cabo, family vacation in Cabo, ideas for Cabo vacation, Los Cabos vacation, manicure in Cabo, massage in Los Cabos, massage on the beach in Cabo, massage with ocean view in Cabo, private villa services in Cabo, spa on location in Cabo, spa pedicure in Cabo, spa services in Cabo.